In my recent quest for cheap and easy maternity clothes I have come across a problem. It's the same problem I keep having throughout my entire life. Because I have some hip, companies seem to think I have enormous thighs, too! Sorry, but that is not the case and if you are like me, you get pretty tired of trying on something you love and looking in the mirror just to envision yourself as a female oompa loompa. 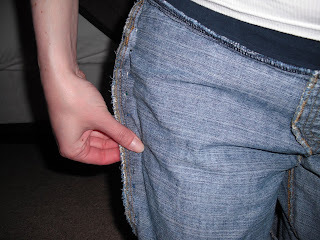 I recently acquired a pair of maternity capris that are exactly this way. 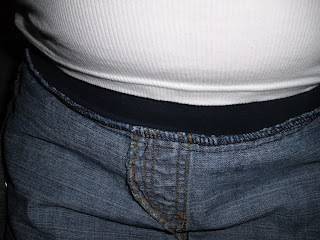 The waist fits, the length fits, the top of the hip fits, but the thigh is too big. So, I fixed it and in doing so I made this quick tutorial for you. Step 1. Turn your garment inside out and put it on. Yes, expect to feel silly. Step 2. Using a mirror and your fingers pinch the excess away from your body from the side seam. Step 3. Pin down the side vertically where you have pinched. Then start to move around in your bottoms. Make sure you still have enough room to sit and take them on and off. Step 4. Take off pants and lay down flat. 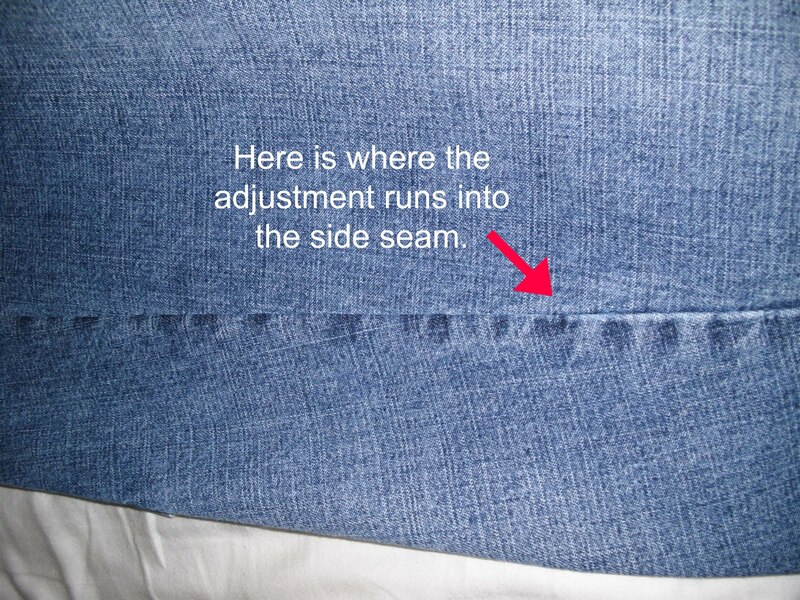 Using your Hip curve ruler (or your eyeballs) line up and mark a curved line along your pin line. 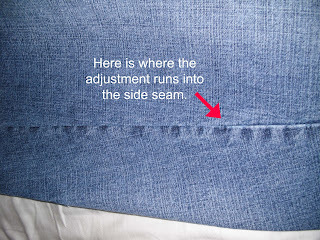 Blend your adjustment in with the rest of the side seam. Mark with your pencil or marker. Step 5. Sew along the curved line you made. 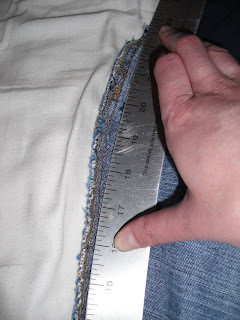 Trim off any excess from the side seam to remove puckers. 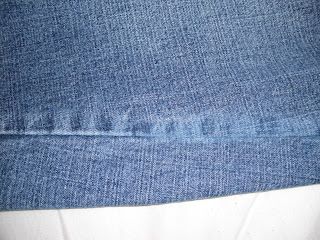 If you wish you can serge or zigzag the altered area to avoid fraying. 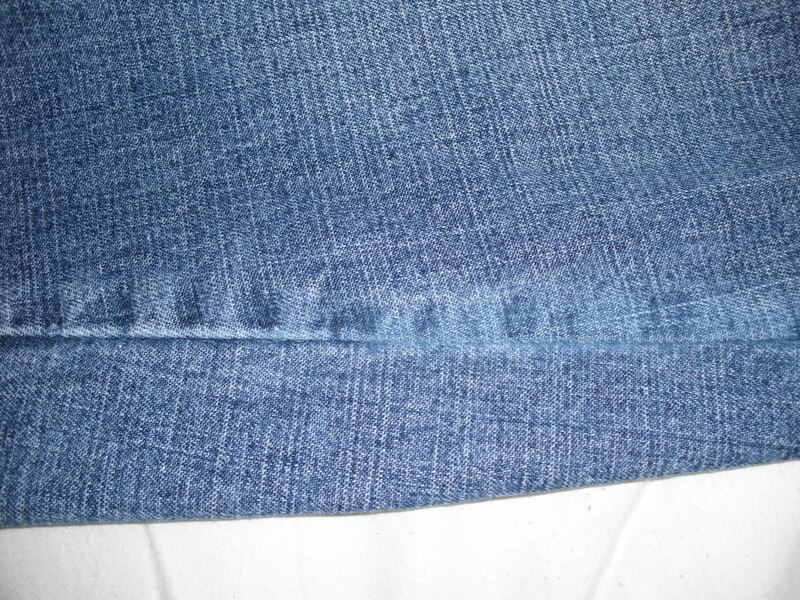 Since my pants were jeans I noticed that where I made my adjustment did not have the wear and fading of color on the seam. I thought that looked odd so I took it a step further. Notice how the white edge stops where I have blended the hip. Step 6. 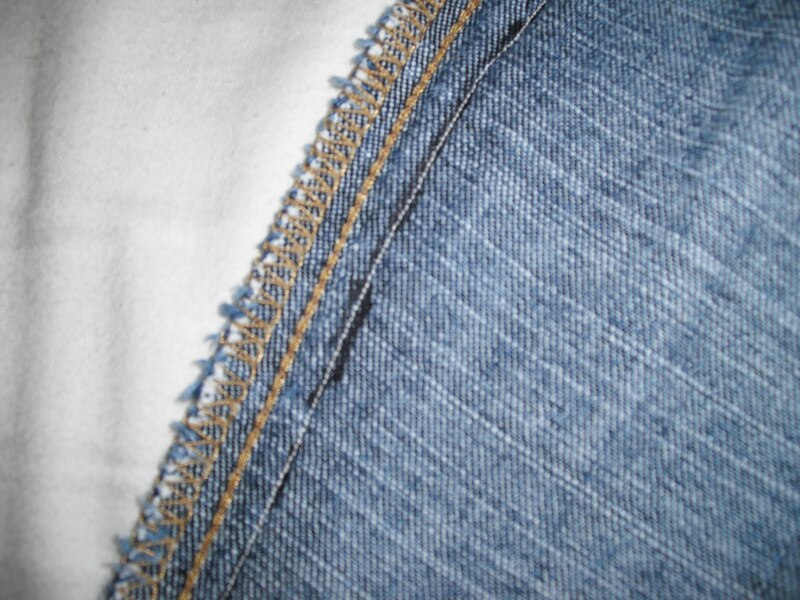 (Optional) Fold your jean item at the side seam with the fold facing the same direction as the remainder of the unadjusted side seam. Now take some fine grit sandpaper and start sanding the protruding edge. Continue until you get the effect you wish. 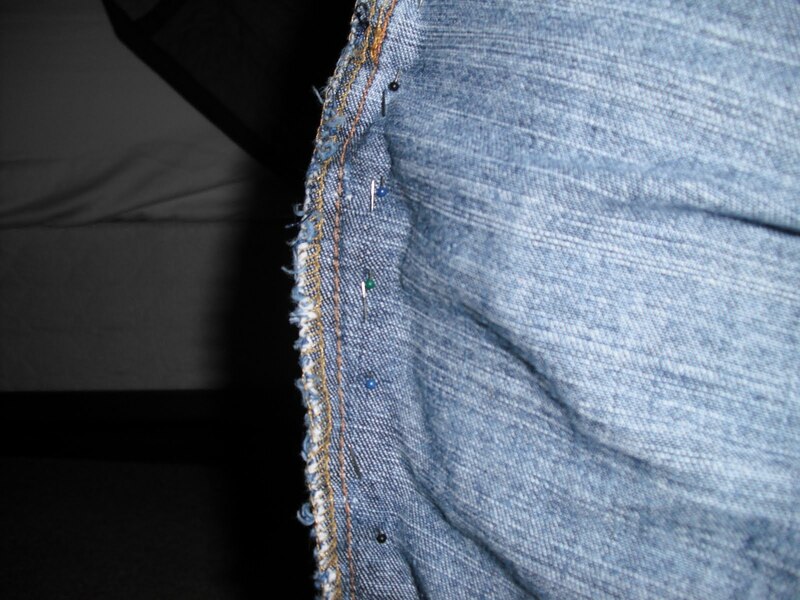 Some wear and tear will happen with regular wearing so don't get overzealous. 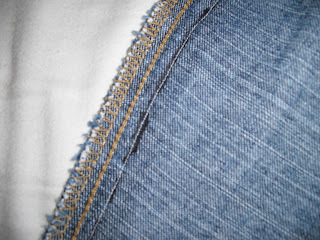 Also please remember, you are intentionally wearing down the fabric on this seam. Don't do too much!! There, I think that will be better from a distance. You're done!! Now you should have a bottom that fits your hip well. This will work well for any bottom garment that only needs slight alteration and won't affect the grain line of the garment too much. Anything with a much larger ooompa loompa problem will need more work.